Lack of Massive Winners. 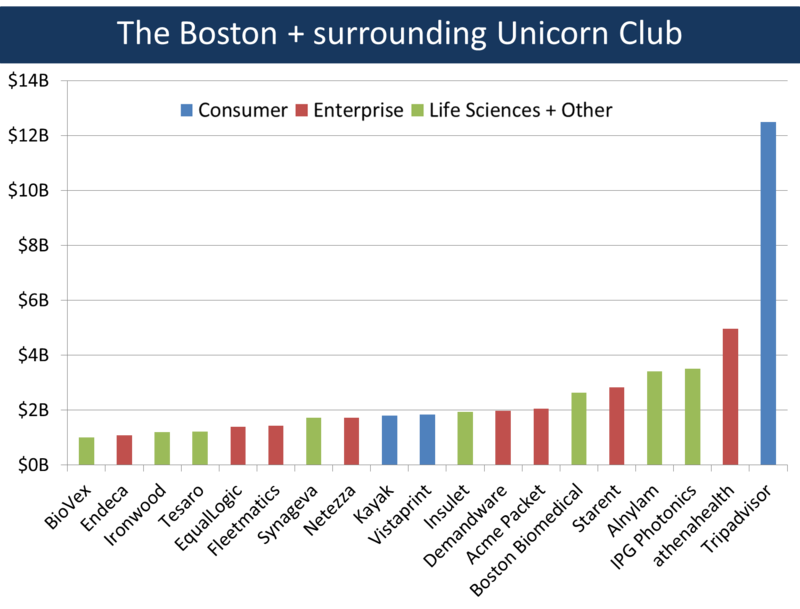 The perception that Boston has not recently generated massive wins appears to be only somewhat accurate, depending on which sector you focus on. 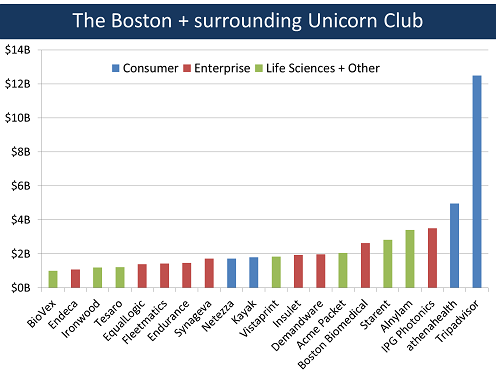 Of the 19 companies that were > $1 billion in value, seven were greater than $2 billion (TripAdvisor, athenahealth, IPG Photonics, Alnylam Pharma, Starent, Boston Biomedical, Acme Packet). That said, only three of these companies are software technology companies – TripAdvisor ($12.5B), athenahealth ($5.0B) and Starent ($2.8B) – and they were founded in 2000, 1997 and 2000, respectively. 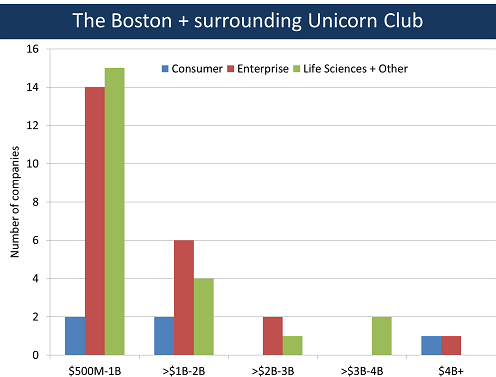 In other words, there have been no multi-billion dollar valued tech companies founded in Boston in the last 13 years. 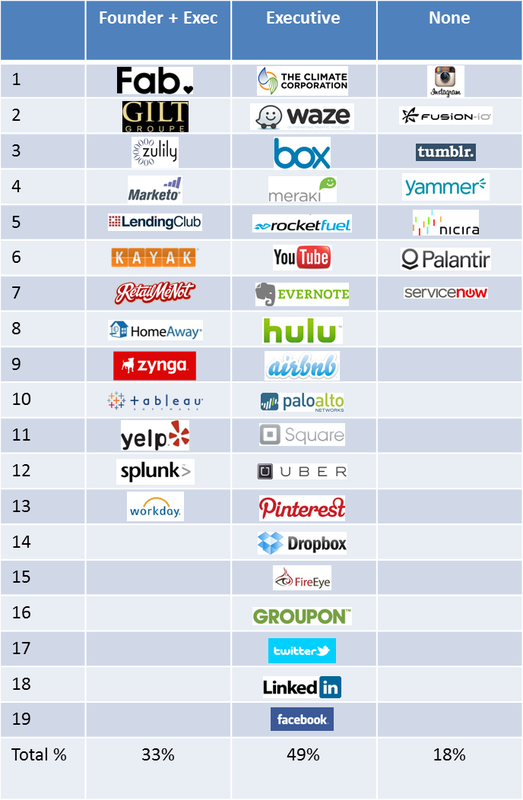 There are three companies that have achieved >$1 billion in value in the tech sector founded in the last 10 years: Demandware ($1.9B/2004), Kayak ($1.8B/2004) and Fleetmatics ($1.4B/2004), although the latter was founded in Dublin. I like being a contrarian. As a kid, if a certain TV show was popular amongst my buddies, I’d purposefully ignore that show and search for other shows that were less well known (e.g., Hogan's Heroes was a personal favorite that never hit mainstream). When someone declares something is conventional wisdom, I look to poke holes and challenge the underlying assumptions. Recently, the conventional wisdom in Startup Land has been that young, technical founders are the prototype for creating valuable companies. The formula, this theory goes, is to find a hacker in a hoodie and bring out the wheelbarrow of cash to back them. Think Mark Zuckerberg/Facebook, Drew Houston/Dropbox, David Karp/Tumblr and – the most recent poster boy darlings of Startup Land – the SnapChat founders. I have always thought that stereotype was skewed. Don’t get me wrong – I love young founders. At Flybridge, we have invested in many of them (e.g., Eliot Buchanan and Dan Choi at Plastiq) and we plan to continue investing in many others. But in my twenty years living in Startup Land, I have found that there is no single model or archetype for success. Success comes in many flavors and combinations. 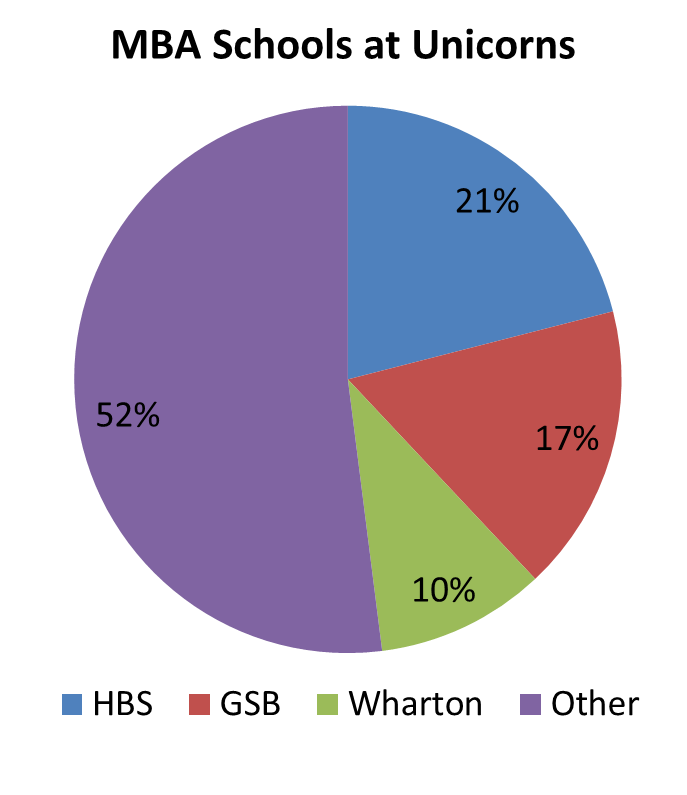 And, in my last five years on the HBS faculty, I have become more convinced of the value of the MBA entrepreneur.